Donald Cerrone’s plan to return to lightweight has taken a detour. “Cowboy” will remain in the welterweight division for his next bout against Yancy Medeiros at UFC Fight Night 126. 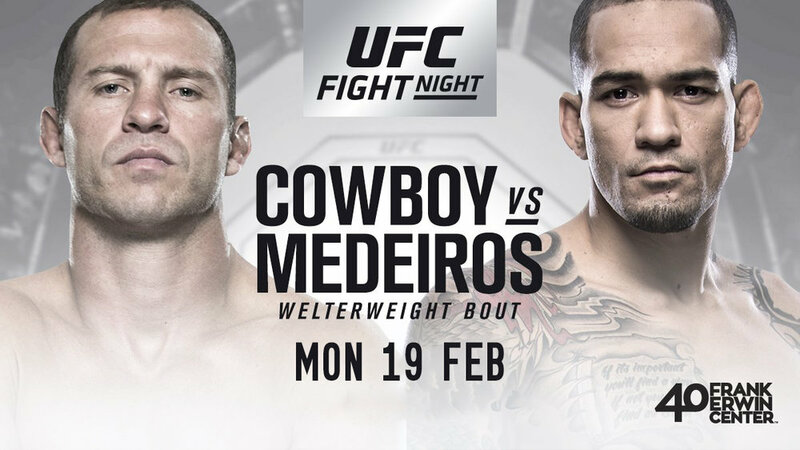 Cerrone (32-10 MMA, 19-7 UFC) draws his fifth UFC main-event assignment with the matchup against Medeiros (15-4 MMA, 6-4 UFC) on the Feb. 19 card at Frank Erwin Center in Austin, Texas. The event airs on FS1 following early prelims on UFC Fight Pass.